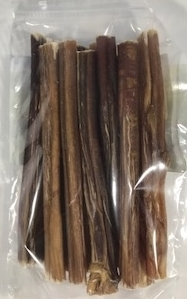 - Pack contains 12 sticks. Made from Free-Range, Pasture-Raised Cattle. 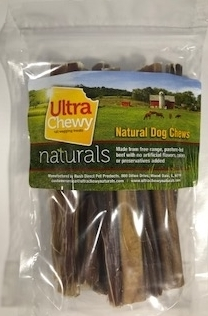 This products is meant for adult dogs and is not recommended for aggressive chewers or dogs with digestive problems. These treats are not meant to replace your pet’s regular meal, and should be replaced if the chew splinters, breaks, or is worn. Always supervise your dog while chewing. Always provide plenty of fresh water in a clean container for your dog. Please do not allow your dog to chew over carpet as the product may stain.